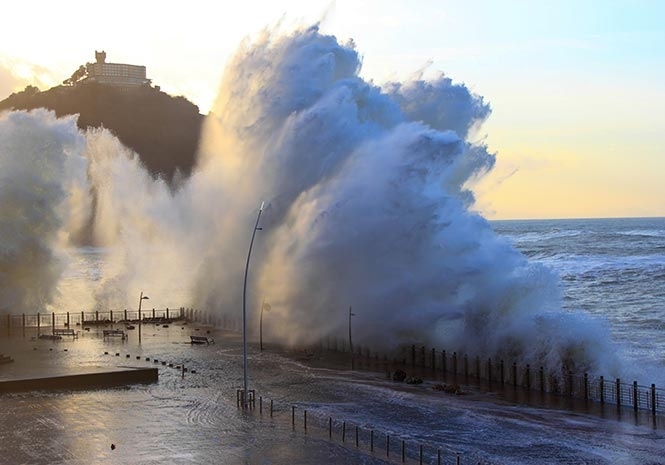 THE Spanish met office AEMET has issued more weather warnings, as the stormy snap looks set to continue. Though conditions are expected to be far more wintry in the north of the country, there are alerts in the provinces of Almería, Granada and Jaén (Andalusia), Albacete and Guadalajara (Castilla La-Mancha), and the communities of Murcia and the Canary Islands. AEMET have issued yellow alerts for snow, large waves and low temperatures in the areas. Andalucia can expect cloud but limited warmth. Temperatures are expected to dip a little tomorrow, but highs on the south coast will remain at around 13 centigrade. Saturday will be similar with less cloud, but rain is expected in the east on Sunday and Monday, forecasts say. Across northern parts of Spain, there will be far colder conditions today and tomorrow, with snow expected in the mountains and in Asturias, Cantabria, the Basque Country and Navarra.